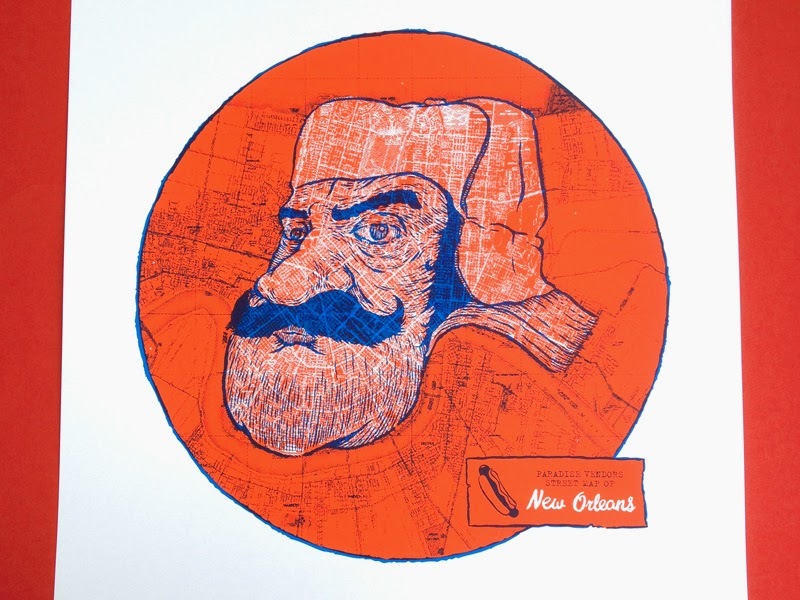 Some of you may remember I was asked by Gallery 1988 to contribute some artwork to their literary inspired exhibition 'Required Reading' so I designed and illustrated this screenprint based on John Kennedy Toole's wonderful 'A Confederacy of Dunces'. 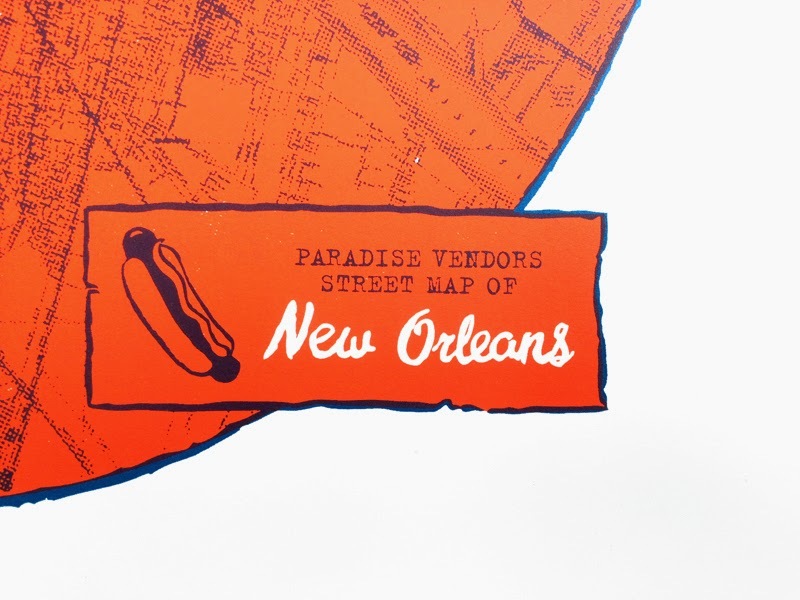 The print is called 'Paradise Vendors Street Map of New Orleans'; using an old New Orleans map I illustrated the cantankerous Ignatius J. Reilly guided by the boundaries of the city. "Outside of the city limits the heart of darkness, the true wasteland begins." 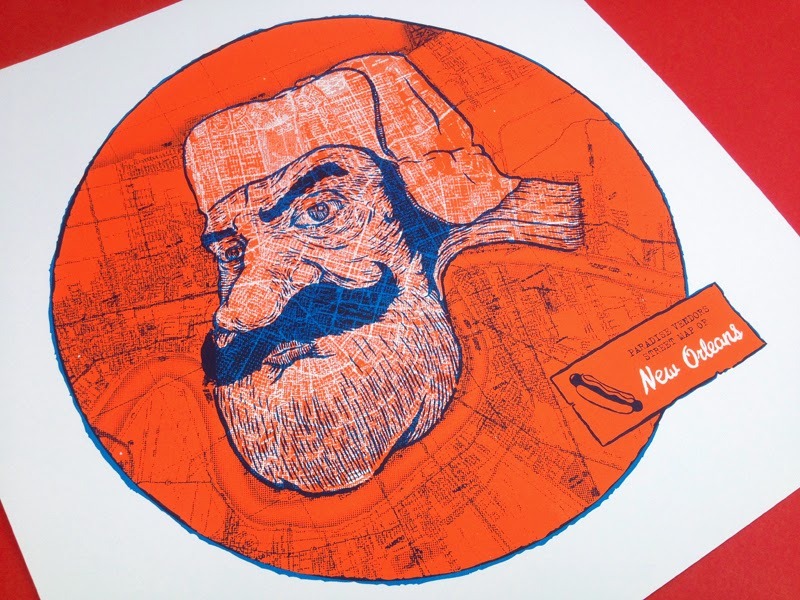 The majority of the print-run was sold at the show but I have a limited number to sell exclusively here. It's a two colour screen-print limited to a run of 40 hand printed on heavy-weight white paper measuring approximately 42cm x 42cm. 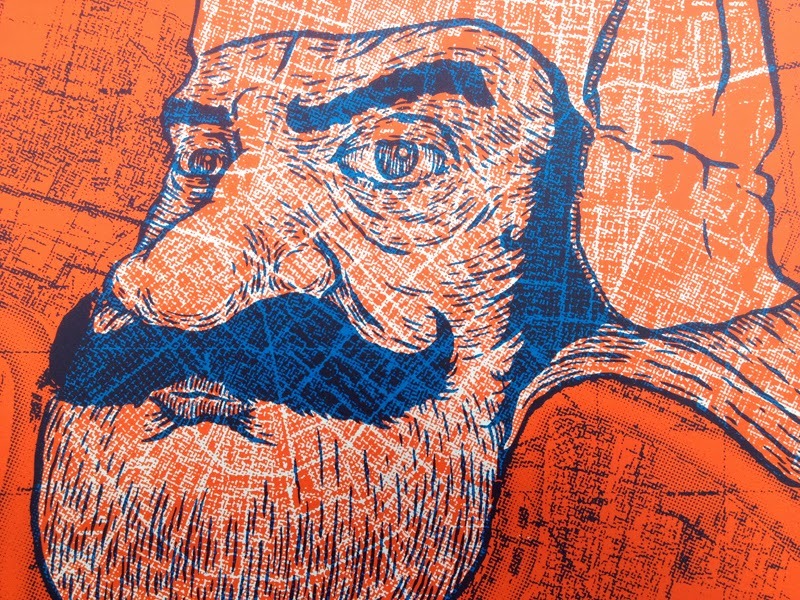 Each print is signed and numbered in pencil. Prints here. There's also a t-shirt of the design available via Miles to Go Clothing.